Finally, a POS you're staff won't hate. 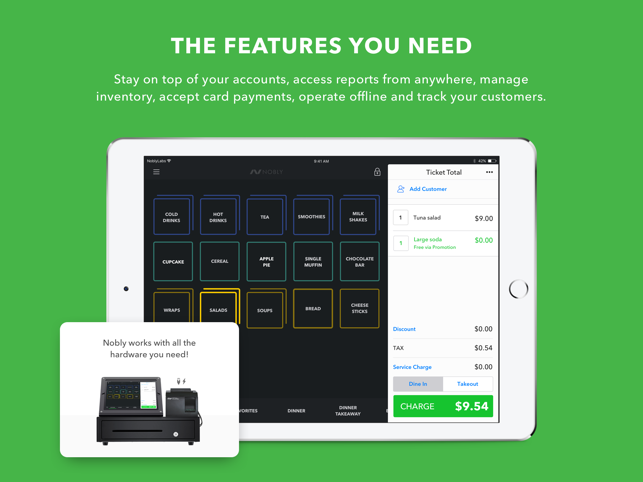 Join 30,000+ happy merchants using Nobly Point of Sale, the easy-to-use and affordable iPad POS system. We work with bars, cafes, restaurants, and other hospitality businesses just like yours from around the world. No contracts, no commitment. Burn through the line with speedy and intuitive checkout flow. 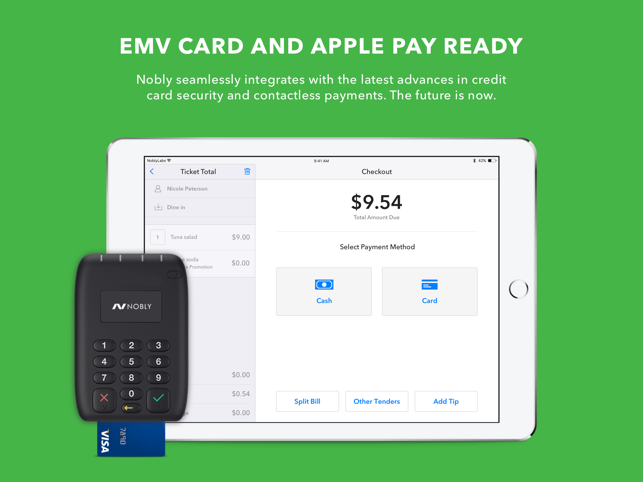 Accept EMV, Chip & PIN, and Apple Pay with industry-leading payment processors. Offline Mode means you never miss a sale, even when the Wi-Fi’s down. Build your brand with smart loyalty campaigns and promotions. Communicate with customers with our MailChimp integration. Never miss an order with tableside ordering and our new Kitchen Display Unit. 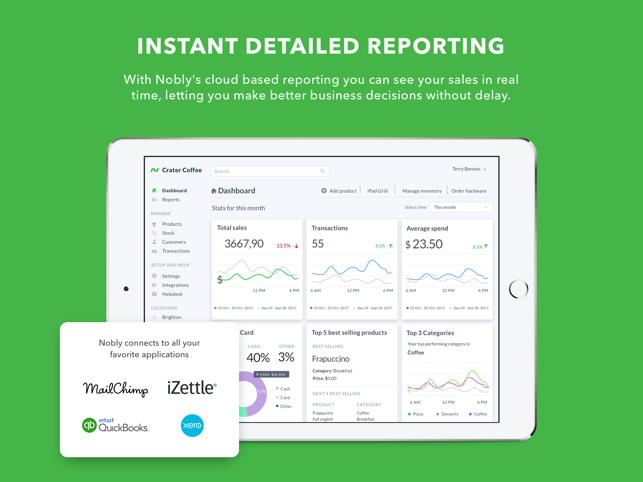 Get actionable insights about your hospitality business with Nobly’s cloud-based BackOffice. Analyze sales data by item, by category and more with 30+ sales reports. Real-time inventory tracking and ingredients management. 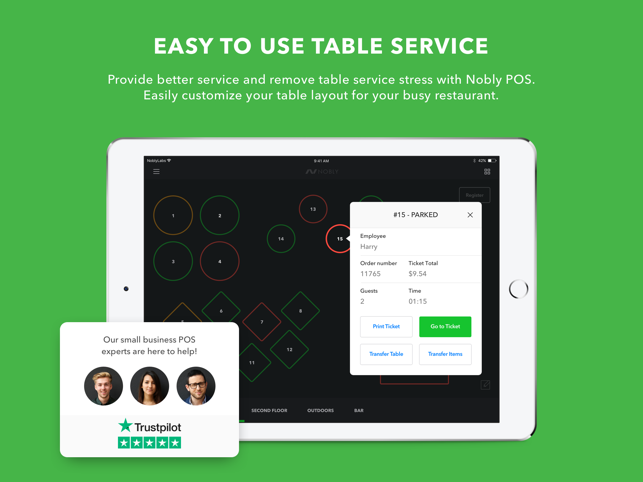 No need to spend hours training - Nobly is quick and easy to get staff up and running. Drag-and-drop interface makes adding items simple. WHAT KIND OF BUSINESSES IS NOBLY GREAT FOR? 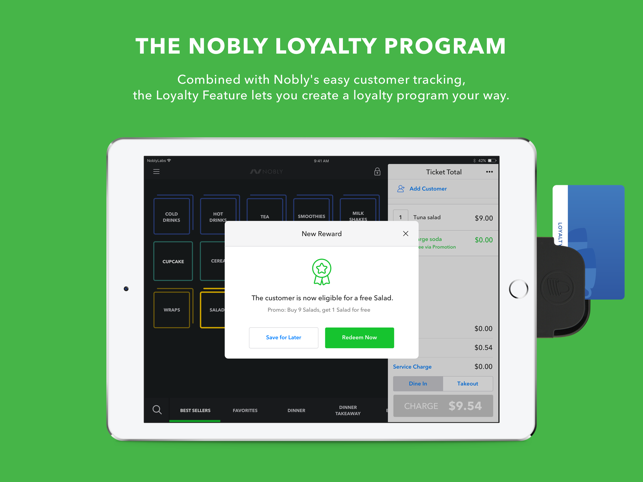 We’ve been hard at work making Nobly the best POS system on the market. It's hard to set up - when you ring up a sale it just ends there - the keyboard doesn't go away and there's no button to get you out of it - you have to log out to get the screen to change and then log back in - the things I dragged to the grid won't stick and when I try to ring a sale I have to do a search to make the button show up. It's useless so I deleted it. such an handy pos system! My friend introduce this to me. This is exactly what I want to manage my sales and keep track on customer sales statistics. And most importantly I can manage my store items via the pad!